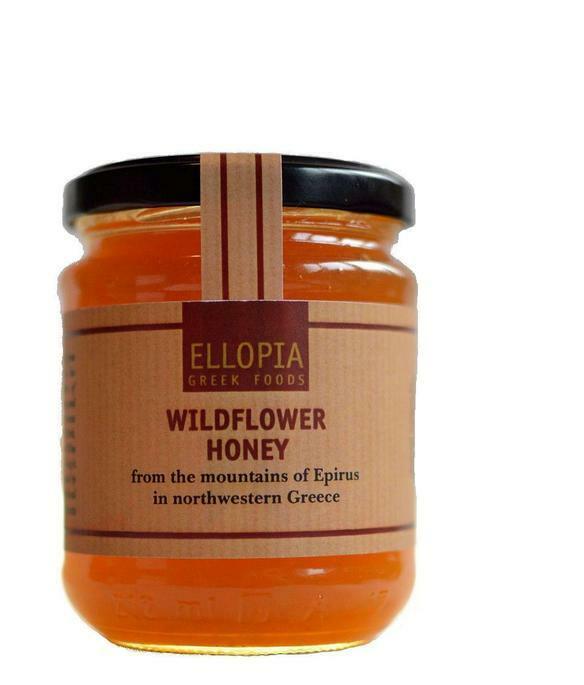 Our wildflower honey is produced on the slopes of the Pindos mountains, in Epirus, Northwestern Greece. Our beekeepers have their apiaries located within the boundaries of the Vikos-Aoös and the Pindus National Parks. During spring and early summer, the beehives are transported to an altitude of 800-900 m, in a virtually untouched area with an outstanding biodiversity (over 2.100 different plant species) that includes a large number of wildflowers and aromatic and medicinal plants. For months the bees collect nectar and pollen from this immense variety of flowers to produce this mild, aromatic honey. Its elegant flavour is dominated by the scent of Greek mountain tea (sideritis raeseri) and Greek rockrose (cistus incanus), with hints of sage, Greek wild oregano, wild mint and other mountain flowers.